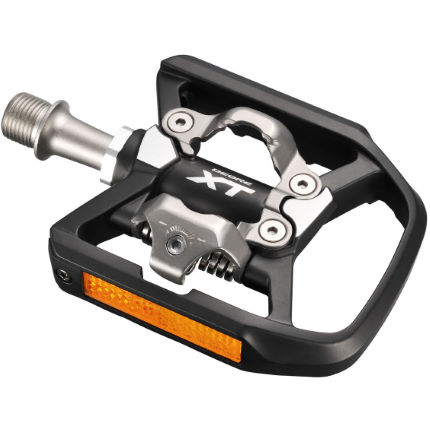 I have Shimano PD-T780 pedals. I bought them almost new only a year ago and they aren't cheap pedals. The axle thing has a hex indentation on the side not visible in the picture which is used to screw it into the crank. The silver wrench ring (like a nut but no screw threads visible) attached to the platform is labelled "Tighten 10Nm" and I haven't ever turned it. I don't know what it's for. Looking into the platform, I think bearing balls were visible. Maybe it's designed to come apart like this for servicing. 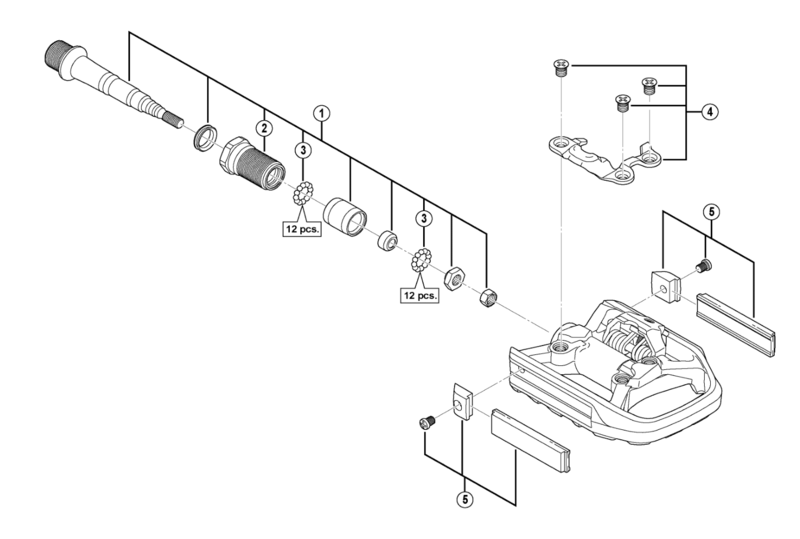 Here is an exploded view: I can't seem to upload the picture I extracted from this pdf. The two leftmost pieces of assembly 1 (the ring is rubber, a seal I guess) are on the crank, the other pieces are in the platform. I was in something of a hurry, so I just stuck it back on and used another bicycle. How do I properly reassemble this? And while I'm at it, should I add some grease? I found a component diagram for these pedals here. Looks like all the bearings are mounted onto the axle and secured with a bearing preload and lock nut at the outboard end. The axle and bearing assembly is then threaded into the pedal using the threads on part 2 - that's why the torque spec is printed on its shoulder. Obviously the retaining nuts came undone. All the balls, cones, bushings and nuts should still be in the pedal body as part 2 should have stopped them from falling out. If you un-thread part 2 you can get all the balls, cones, bushings and retaining nuts out. I'd do this over a tray or box to catch the balls and small parts that will fall out. You can then reassemble the bearings and, then thread the assembly back into the pedal body. You could try re-inserting the axle, un-threading part 2 and see if you can withdraw the bearings etc on the axle. You should examine the state of the bearings and cones to make sure they are OK before proceeding with reassembly. Maybe something seized which caused the retaining nuts to come undone. Not the answer you're looking for? Browse other questions tagged pedals bearings or ask your own question. 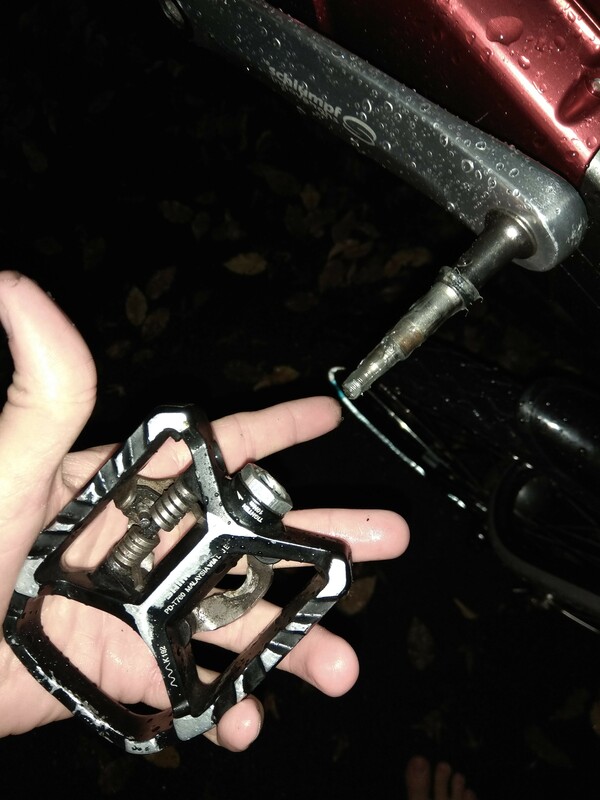 How to maintain platform pedal bearings? How much of a difference do Toe Pedal Clips make in comparison to Platform Pedals? How to fix precession in pedal axle? How to measure pedal axle/spindle size? 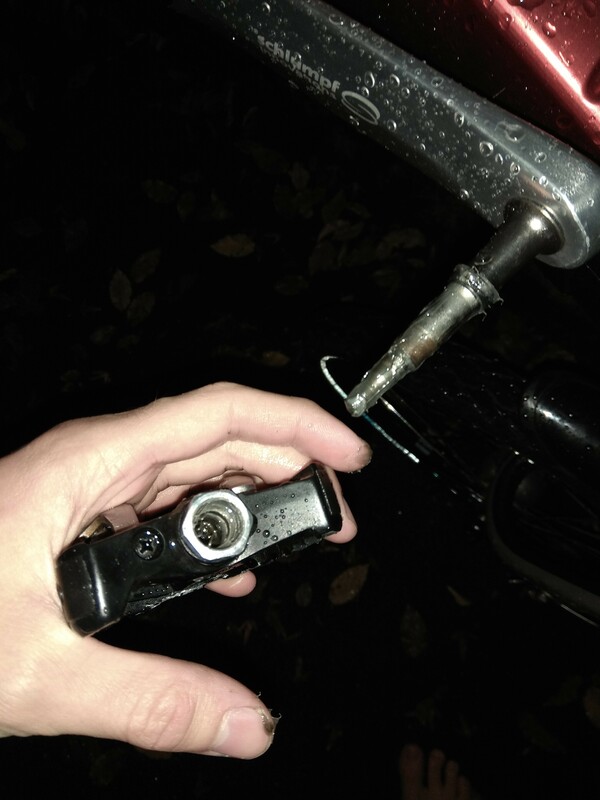 How to repair pedal snapped off crank arm?